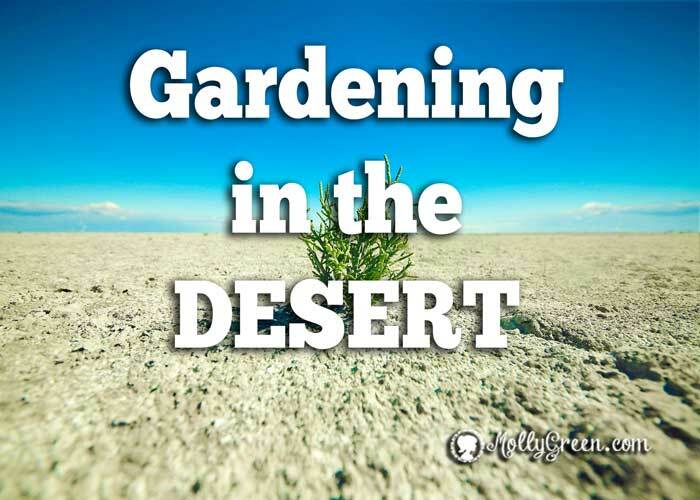 Desert gardening can have many pros and cons; the biggest pro is we can grow food all year long here since the few days that we do get freezing temperatures are so minimal. We also do not get a hard freeze. So root crops grow well here in the winter. I discovered (by accident) that I could grow beets year-round one year when my husband forgot to cover the beets when we had a freeze one night and I went out the next morning to uncover them and pulled a few from the outside to discover they were fine. I decided then and there that I would grow them year-round rather than just during the summer months and canning them all. So I save the time of canning also. Like beets, there are many plants that grow in Arizona through the winter. Here in the desert, it is too hot to grow green beans, peas, broccoli, cauliflower, Brussels sprouts, and cabbage during the summer months so I grow them in the fall/winter also. I try to get them planted in August so they have plenty of time to grow before our freezing temps hit in January. Sometimes we get them in late December, but my green beans and peas will grow until the heat hits, if I keep them covered. Garlic is another one of the plants that grow in Arizona. Garlic is an herb that grows well here over the winter also, I plant it in tires—the black walls absorb heat—and water about once a week, unless we get rain, or if it is warmer than usual, in which case I will water twice a week. I can grow more than a year’s worth of garlic for my family over the winter and dry it or store it in jars with olive oil which gives it extra flavor. Another pro to desert gardening is we get to start our gardens here in mid-February most years which really gives us a long growing season if we don’t do a winter garden. We have a few cons here in the south central Sonoran Desert, however. The first is that it does take a lot of water to get a garden going, but once it is going and you mulch, it is a little bit better. The second is our soil. We don’t have good topsoil here. Much of the soil is caliche clay, which is very hard and nonporous. It takes a lot of work to have decent soil. Whenever anyone asks me about desert gardening and plants that grow in Arizona, I tell them to start small, pick three to four veggies they would most like to grow the most, and prepare the soil for just that amount of gardening. As the spring/summer progresses, you can be adding amendments to your soil to expand your garden the next year also. I have found that it is better to bury my compost right into the ground rather than put it in barrels and wait for it to break down. My soil improves more quickly and I can expand my garden faster. As the soil improves, I use less water also. A third con is the sun and heat. I have learned that my less heat-tolerant plants need to be planted near my larger plants that can tolerate more heat and sun. For instance, I use okra to shade a lot of plants, so it always gets planted on the west side of my garden. My family moved onto our current homestead a little over two years ago and my garden has been a work in progress from day one. I have been using raised beds and containers to grow my little bit the past two years and am truly hoping that this next spring—February for us—I will have some rows with good soil so I can actually plant a decent-sized garden again. When asked if gardening can be done here in the desert, my answer is most definitely yes, but it does take determination and some effort and, after a few years of hard work, you can have a nice little oasis and keep expanding until you reach the desired size. Pam Williams, is a mother of three and the grandmother of one. She homeschools her two remaining children at home. She, her husband, Don, and two children live on 3.5 acres in Arizona raising goats (meat and dairy), chickens, ducks, llamas, horses, cats, and a dog (you can’t have a farm without a dog). Loving the idea of gardening year-round? You won’t want to miss our article on how to extend your growing season with cold frames and low tunnels!